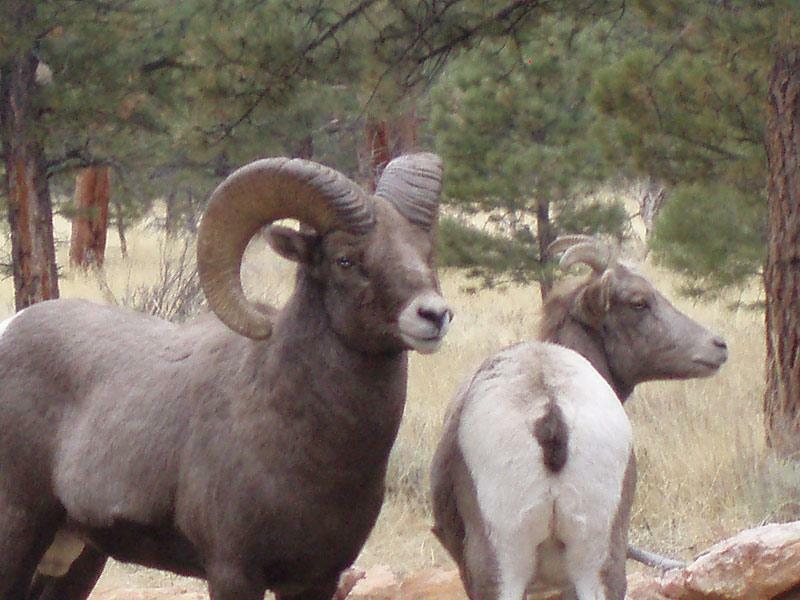 Bighorn sheep are one of Flaming Gorge's best Watchable Wildlife species. 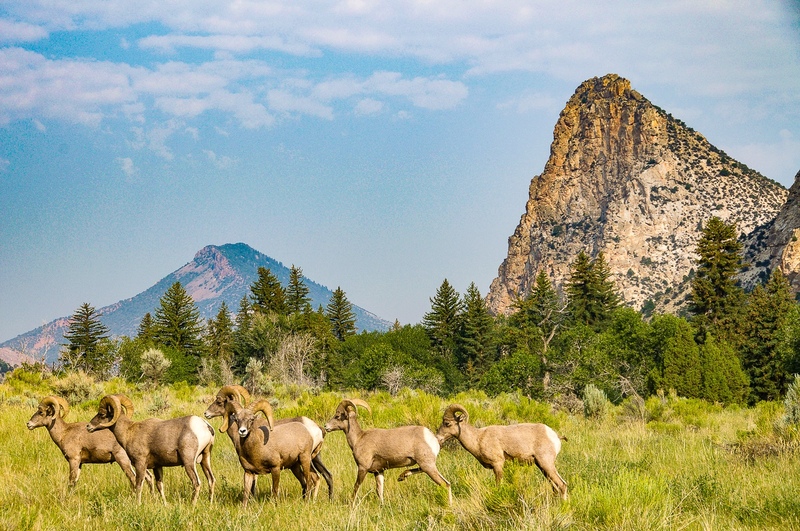 Viewing the majestic Bighorn ram with his powerful body and massive set of curved horns is always a thrilling experience for locals and visitors alike. 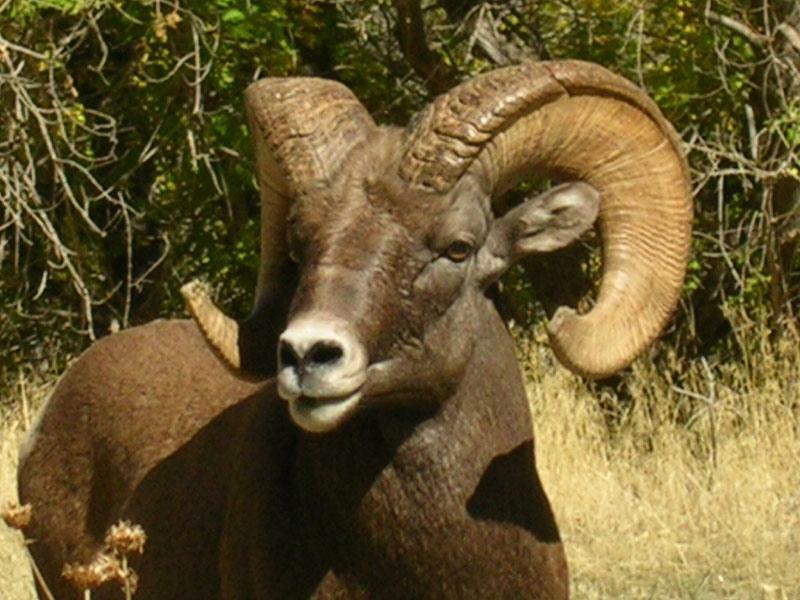 Unlike other hoofed mammals, bighorns are active throughout daylight hours. 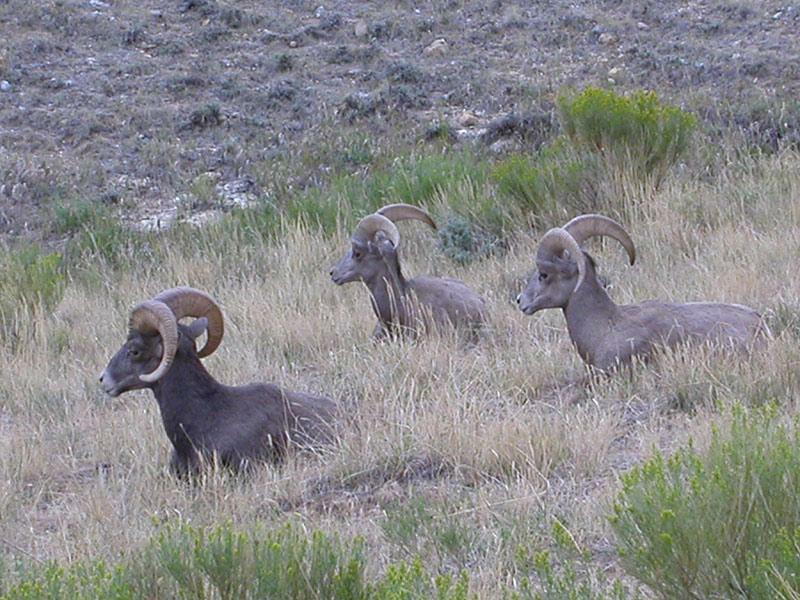 Both male and female sheep grow horns, although only the male's will develop into the massive curved rack for which the bighorn is famous. In the summer, persons will usually only see groups of females and very young males around Flaming Gorge. The impressive rams return in late fall to gather females for breeding and fight other rams for dominance. It is at this time, that the males will charge and collide heads with such force, that the clash of their horns may be heard from miles away! Flaming Gorge Country is fortunate to have several consistent areas of easily viewed Bighorn sheep herds. They include Sheep Creek Geological Loop, Red Canyon Overlook, and the slopes of Lake Flaming Gorge. Thank you for visiting http://www.flaminggorgecountry.com/Rocky-Mountain-Bighorn-Sheep! Be sure and revisit flaminggorgecountry.com frequently for content updates and more.